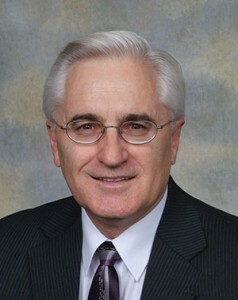 NDDOT Director Francis G. Ziegler, P.E. The North Dakota Department of Transportation (NDDOT) maintains over 8,400 miles of state highways across the state. We also license every driver and vehicle in North Dakota. Keeping the roadways and bridges in good condition and licensing the many people who walk through our door is a challenging task. NDDOT employees located across the state strive to ensure our mission of safely moving people and goods is fulfilled. Building and maintaining state highways involves strategic planning. To meet the growing and changing transportation needs of our state, the department follows a long range plan, referred to as Trans Action III and a shorter, four-year plan, called Statewide Transportation Improvement Program (STIP). After a needs analysis is completed, projects are prioritized and the program is developed. Due to increases in traffic statewide, especially truck traffic, the life span of roadways has decreased. Some roads designed to last 20 years are lasting only 7-10 years in Western North Dakota. Each summer, the NDDOT invests millions of dollars into our roads and bridges to improve and preserve them. In the 2011-2013 biennium, the Governor proposed and the legislature passed a comprehensive transportation package of $1.67 billion. This is the largest 2-year budget for road construction and transportation services in NDDOT’s history. We work with our local city and county governments in the development of projects as we improve our entire state’s infrastructure. The NDDOT also works closely with the local Federal Highway Administration (FHWA) as our construction program relies heavily on federal funds. FHWA also funds road repairs when disasters occur. An example of such an occurrence was the spring of 2011 when we had many roads that were closed or washed out due to flooding. After the construction season ends, we prepare for the demands of the winter season. Maintaining roads in the winter time is handled by our Transportation Technicians (equipment operators) who are responsible for clearing snow and ice from our state highways. Each Transportation Technician is responsible for approximately 50 lane miles of roadway. They also report road conditions so that the Travel Information Map on our website and the 511 phone system are accurate and current. This information helps motorists make safer travel plans in the winter. The Travel Information Map online has had more than 1.2 million hits in one month. Providing up to date information on road conditions and keeping the public informed is a priority for us. We also see many North Dakota residents in our Drivers License and Motor Vehicle offices. There are 27 Driver License offices and 20 contracted Motor Vehicle offices throughout the state. In 2011, Motor Vehicle registrations reached 1 million and 503,000 drivers were licensed; both record numbers for North Dakota. The Department’s top priority is to promote and provide a safe transportation system. We have developed alliances with state, local and tribal law enforcement agencies to promote safe and responsible driving habits. Our efforts can be seen in media ads, on billboards and in our schools. But these efforts haven’t reached all. Traffic fatalities are increasing. The top causes of traffic fatalities are; lack of seat belt use, drinking and driving, speed and distracted driving. The state goal should be to have zero deaths on our roads. After all, zero deaths is what we want for our family. We must continue our efforts to work toward this goal. This is an exciting time of growth for the state and we are proud of all our department has accomplished. We know our work is not done. There is much more that will be asked of our agency, and we stand ready to respond. Our mission of safely moving people and goods can be seen in the value we place on the high quality of roads and the dedication to superior service for our citizens and visitors in the state.